The team here at The Theatre Centre couldn’t be happier to announce the appointment of our new Technical Director: Tim Lindsay. Tim already feels like part of the family here at The Theatre Centre, having designed the sound for our well-traveled production of Sea Sick (it’s going to India this month! ), so we’re thrilled he’s joining us on a full-time basis. Tim hails from East York, and has been working with exceptional theatre artists in and around Toronto since his graduating year at UTS in 2004. Tim completed his Honours Bachelor of Arts degree at the University of Trinity College in 2008 while working at the George Ignatieff Theatre. He was a sound design intern at the Stratford Shakespeare Festival during its 2009 season, and spent three consecutive seasons at the Blyth Festival Theatre. He has been the sound designer for six of Kat Sandler’s hugely acclaimed indie theatre productions with Theatre Brouhaha, most recently “Big Plans” at the Storefront Theatre. Other recent sound designs include Alanna Mitchell’s solo piece “Sea Sick”, which was the Theatre Centre’s inaugural production in its new space and is now touring the world, the 2015 Toronto Fringe hits “pool (no water)” and “Adventures of a Redheaded Coffeeshop Girl”, “Brimstone & Treacle” for Precisely Peter, “Kate and Sam Are Not Breaking Up” for Cue6, “After Miss Julie” for Red One Theatre Collective, and “Confessions of a Redheaded Coffeeshop Girl” for Rebecca Perry (also touring the world, most recently at the 2015 Edinburgh Fringe). In addition to freelance sound design, Tim has worked as a technical director for Etobicoke School of the Arts and for BFL Theatre, co-producing its hit production of “Hedwig and the Angry Inch” starring Seth Drabinsky at the Drake Hotel in 2013 that also toured across Canada. 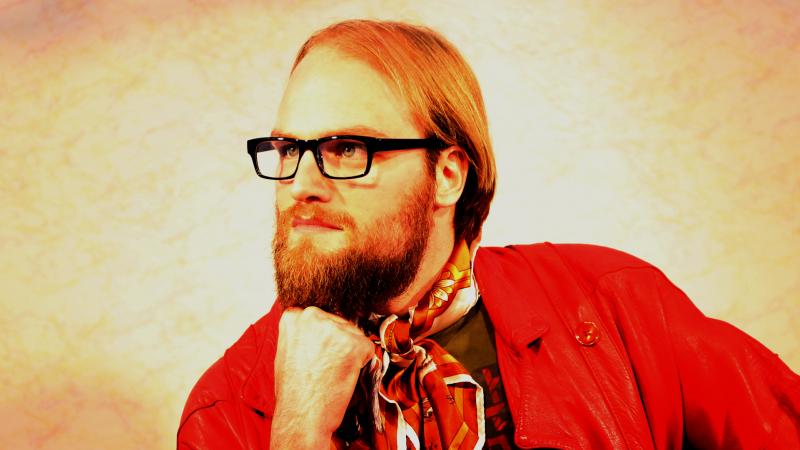 From 2012 to 2014, he co-hosted twenty-six episodes of The Speezy, a very silly podcast about the life of theatre artists in the city. You can follow Tim’s cat, Pesto, here on Twitter. *Photo courtesy of the Art is Hard Portrait Studio.